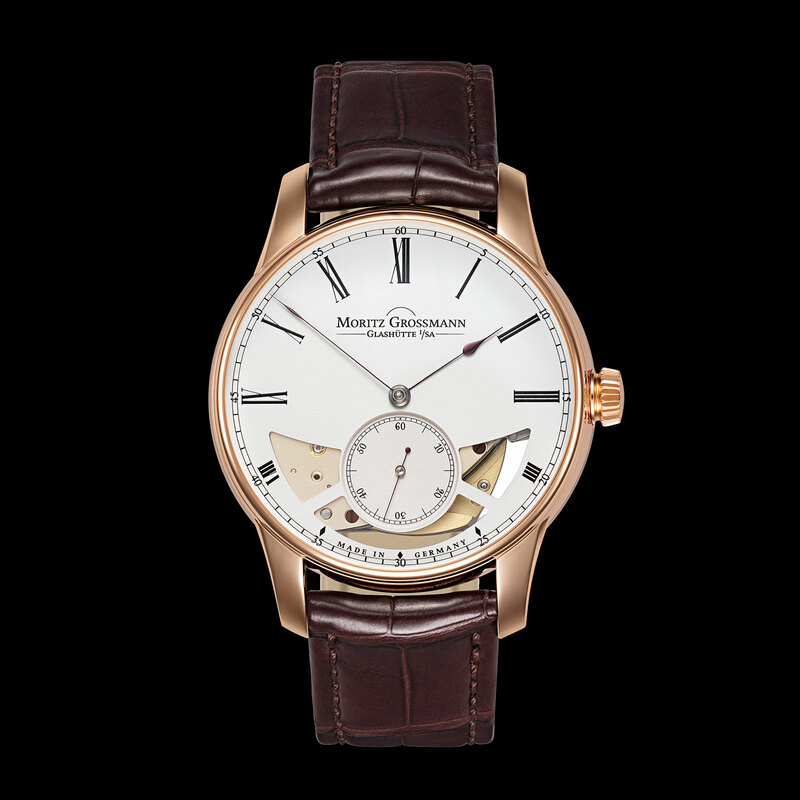 Producing only manually-wound watches till now, Moritz Grossmann has based its finely conceived movements on pocket watch calibres so it is no surprise that the German watchmaker’s first self-winding movement is equal parts anachronistic and elaborate. 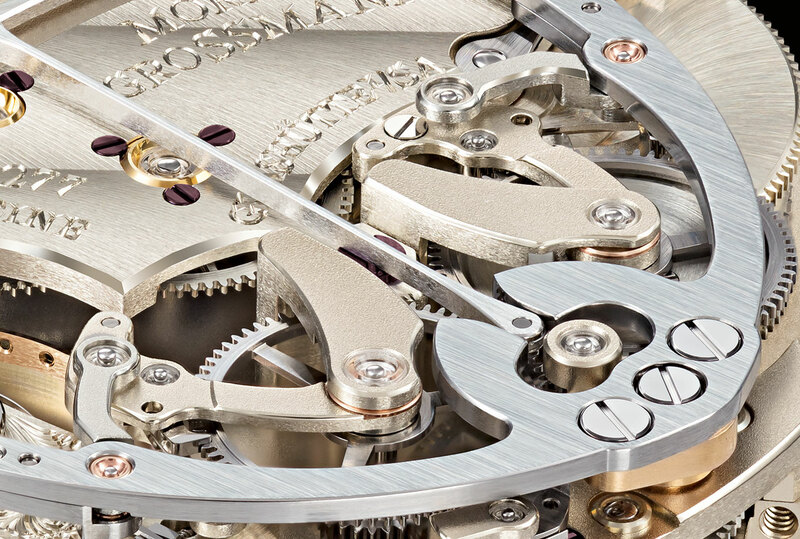 Despite recent misfires like the Atum Skull, the Atum Hamatic returns to Grossmann’s original focus of elaborately constructed movements, the cal. 106.0 in this case. 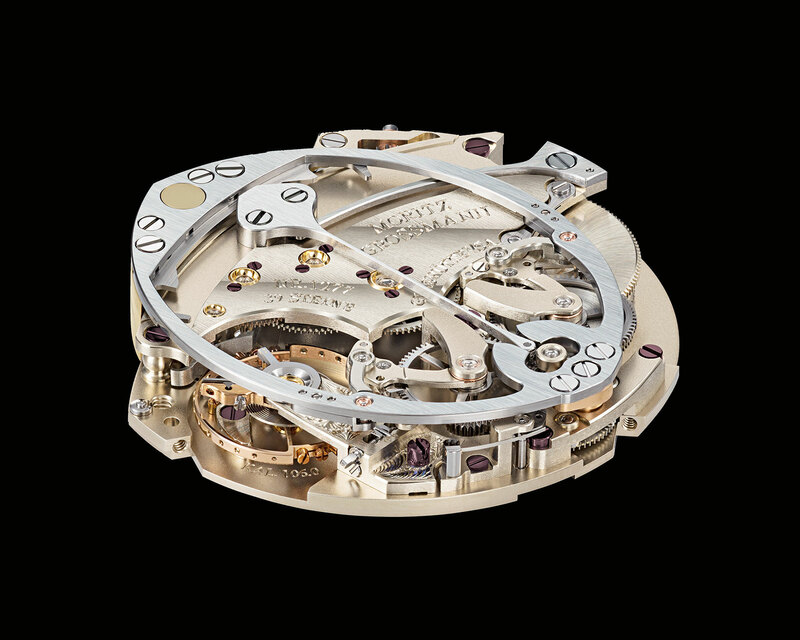 It is an unusual movement with a tw0-third plate, which relies on a hammer automatic winding mechanism, comprised of a large, ovoid-shaped head and hammer spring. 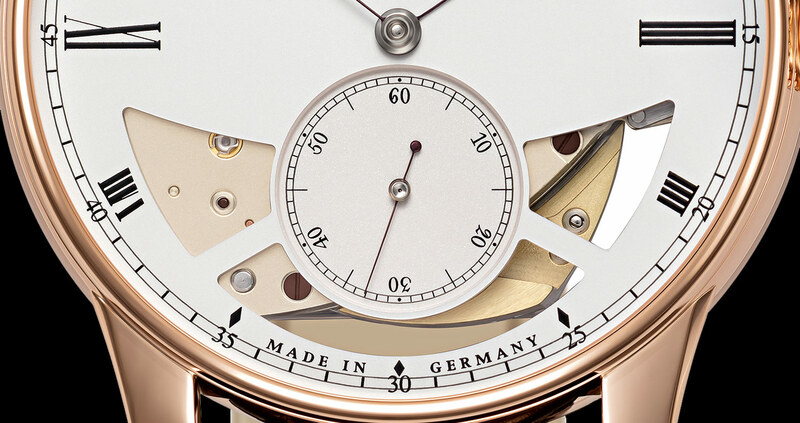 A trio of cut-outs on the dial show the motion of the hammer as it swings back and forth, winding bidirectionally. 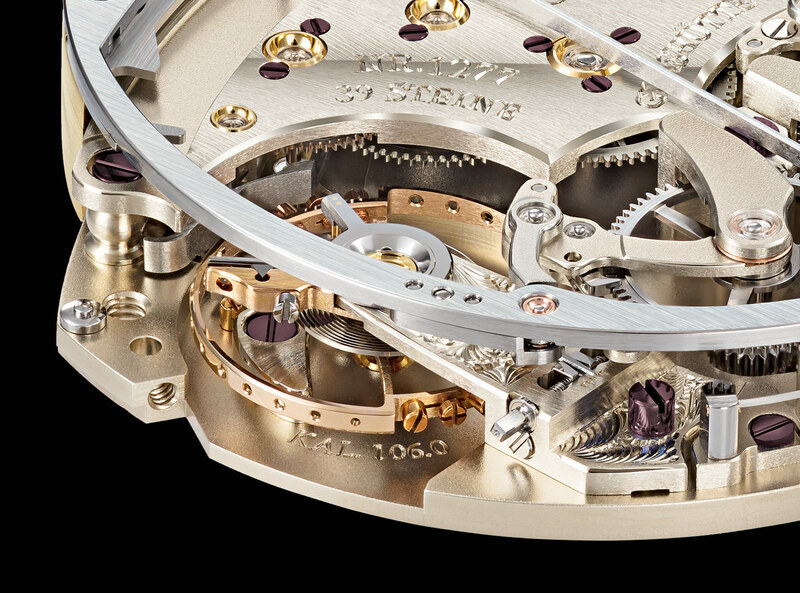 Despite being a time-only movement with three hands, the cal. 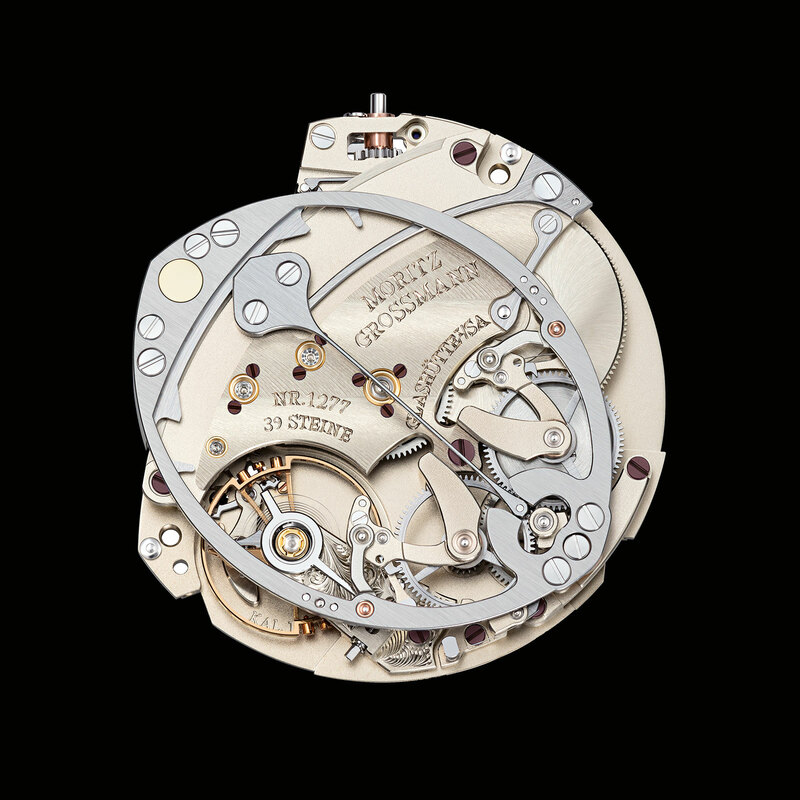 106.0 is made up of 324 parts, more than some chronograph movements, a testament to how complicated the winding mechanism is. Like a 19th century pocket watch movement, the cal. 106.0 has a pillar construction, meaning the base plate and bridges, made of German silver naturally, are secured with pillars on their peripheral, with most of the moving parts sandwiched in-between. The cal. 106.0 has a 72-hour power reserve, and can be manually wound as well. Like all other Grossmann watches, it also has a hacking seconds. Also typical of Grossmann is the solid silver dial fitted with hand-made hands in steel that’s been heated to a distinctive “violet-brown” hue. Available only in rose gold for now, the case is 41mm wide and 11.35mm high. 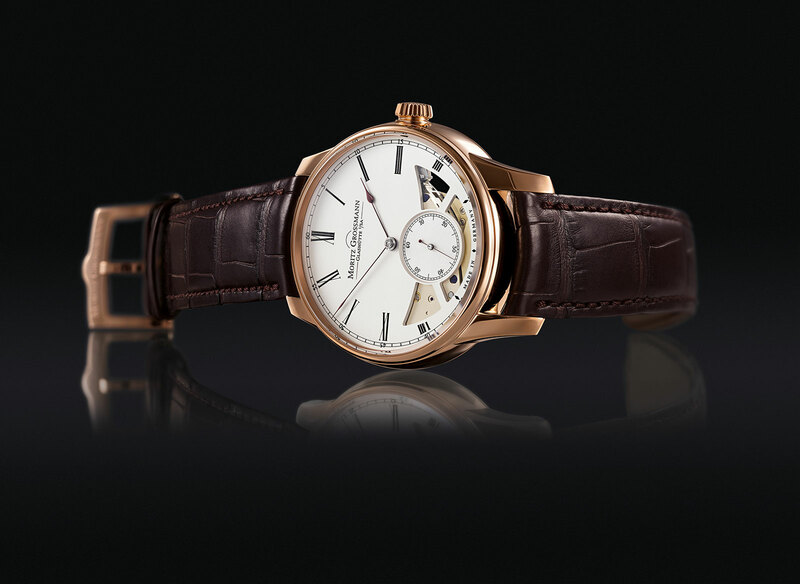 The Atum Hamatic in rose gold (ref. MG-001708) will be available starting December 2018, priced at €39,900.